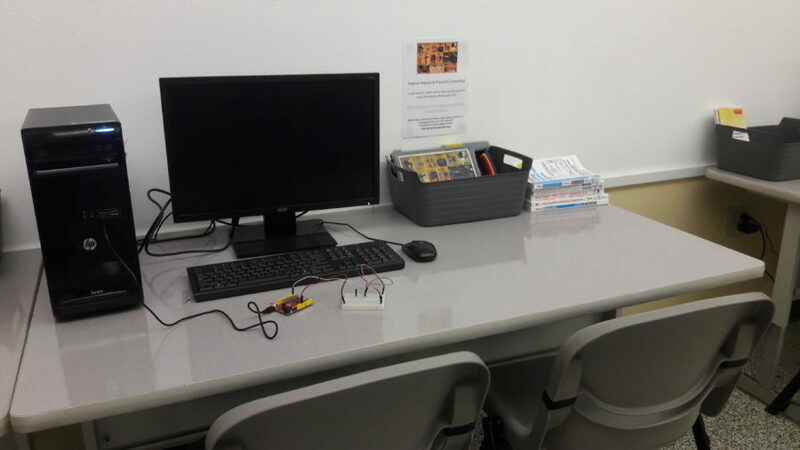 The EDGE Lab uses a Digital Badging system to make sure that students have the necessary knowledge and skills to independently use EDGE Lab equipment. By completing the “Arduino” Digital Badge, you’re demonstrating that you understand the basic components of an Arduino, & how to create simple circuits and sketches. Once you’ve completed the activities to earn the badge, you’ll be able to use advanced Arduino components, check out Arduino kits from the EDGE Lab, and use the Lab’s “Codebender” account (to code sketches online, without the IDE software). You’ll also get access to the Lab during “Badged Students Only” times. All EDGE Lab Badges are in the form of Canvas “modules.” You can work through the “Arduino” module at your own pace, whenever you have time in the Lab. Just submit the activities as you finish! Click here for more info or to get started now!